Fun Ways to Live in the Past! Well, it’s official. 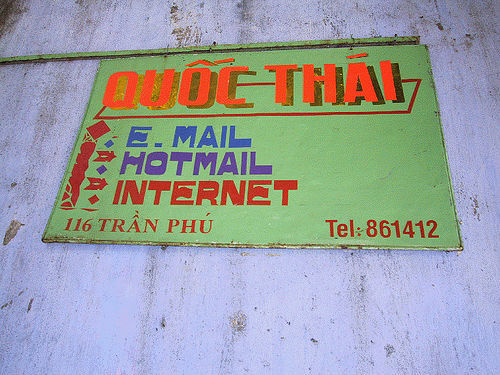 As of last week, Hotmail is dead. All Hotmail accounts have been ported over to Microsoft Outlook. If you have a Hotmail account then it will still say blubberfan@hotmail.com, or whatever your screenname is (which I hope isn’t blubberfan), but you’re really on an Outlook account. 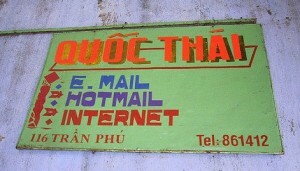 The user experience isn’t going to change at all, but from now on anyone with a hotmail.com address should really be forced to display livinginthepast.com. Act Like There Really Won’t Be a Tomorrow! There’s a difference between sticking with tried-and-true traditional processes and outright refusing to innovate under any circumstances. This prescient quote by Robert Vanderpoel sums it up nicely: “The most successful businessperson is the one who holds onto the old just as long as it is good, and grabs the new just as soon as it is better.” But I don’t know who Robert Vanderpoel is, which means we shouldn’t listen to him. So start incorporating phrases like “That’s not how we did things back in my day” or “What is this Internet of which you speak?” into your daily conversations. Then watch the ossification begin! Refuse to Recognize the Validity of New Data! One of the best ways to live in the past is to automatically assume that all new information is a lie. Numbers are super easy to manipulate. For example, I am technically 5’11” tall, but I prefer to call myself 6’ -1” because it sounds taller. So when someone says, “We tested this with 500 potential customers, and it seems to be 23% better than what we’re doing now,” what they’re really saying is, “awesome person ever.!! !” Or something like that. Ignore Demographic Shifts! Odds are your customer base has changed in the last 5 years. You’re probably trying to attract a completely new or hitherto-ignored population of potential money-payers. But that’s a whole lot more work than just assuming that the whole ‘changing demographics’ argument is a big fat lie. So stick with what’s comfortable! And if you think this isn’t a good idea, just go ask the Republican Party how well this worked out for them in the 2012 election! They couldn’t be happier! So there you go. Consider this my eulogy to Hotmail, and to dial-up Internet while I’m at it. Man, I sure do miss the days of dial-up. “Don’t get on the phone, I’m going to get online, just want to look at a picture, should only take 16 minutes to download, please stay off the phone please!!! !” Those were the good old days. Question: What’s one thing you or your company needs to do in order to stay current within your industry or for your customers?